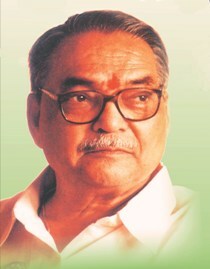 Sharad Joshi यांनी बुध, 11/01/2012 - 15:01 ह्यावेळी प्रकाशित केले. Preparations for celebrating the golden jubilee of independence began; committees were appointed and even those occupying the seats of power were in confusion. Fifty years have passed since Independence; of course the event has to be celebrated, but no one could say exactly what there was to celebrate or how it was to be celebrated. Expressing joy was the primary objective of the celebrations from the beginning, but all concerned felt that, side by side with celebrations there needed to be some exercise in introspection, an effort to draw up a balance-sheet of the gains and, even more importantly, of the losses. A review to consider what caused India's degradation and why the tryst with destiny remained unfulfilled was called for. On 9 August 1997 the celebrations began at the historical Gowalia Tank grounds in Mumbai. On the midnight of 14th August, an impressive ceremony took place in the parliament's central hall. For the whole year, some celebrations or programme continued to be held. Newspapers and other media drummed up all these events with great enthusiasm. But, within a month since the beginning of the festival, the hollowness of it all was patent. 15th August 1947 saw the stark tragedy of India's partition. Millions of refugees poured into the country. The nation was thrown into a state of shock by the horrendous stories of brutality in communal rioting. Mahatma Gandhi distanced himself from the panoply of independence day celebrations and walked through the riot-stricken areas of Noakhali. Millions of citizens, nevertheless, danced as if drunk with happiness, unmindful of the pouring rain, in the joy of welcoming the advent of independence. That ecstasy is a thing of the past. It was the people who spontaneously celebrated the first independence day. The celebration of the golden jubilee of independence was all government-managed. How did this happen? What went wrong with independence? It is not that there was no discussion of this. Those sections which did not get the benefits of power after independence are making diverse comments -- this should have been done, that should not have been done. Some say that population has grown beyond the bounds of what can be managed. Some say corruption has spread, some that independence has been spoiled because the people at large lack patriotism and are not ready to sacrifice for the country. Some hold that ushering in democracy to a poor and backward country was itself a mistake, arguing that "our people are comfortable with dictatorship, adult suffrage has made a mess of everything." Some hold that the country has become fragmented because of division of states on a linguistic basis. Some protest that our downfall comes from forgetting our old traditions, and adopting secular and republican notions of western origin. Some recommend planting trees, some opening more schools; some preach benevolence to the poor, others suppression of inequality. It is a tower of Babel, each one trying to surpass the other in a show of wisdom. The Congressites who wielded political power for most of the fifty years make it sound as if everything was all right under their rule. They could hardly be expected to sign a confession that the country has been brought to devastation by the policies implemented during the Nehru-Gandhi dynasty in the Congress regime. "What Nehru did was right for his time; there was then no alternative to socialism and planning; the economic reforms that are being brought in now aim to go ahead in the same direction, to make the country self-reliant and powerful." They themselves cannot really accept this kind of convoluted reasoning, so there is no question of others accepting it. The left parties and casteists have joined in a new and strange Grand Alliance. Those who at one time opposed Nehru are now supporting and justifying the policies that were taken under the name of Nehruvian socialism. They are hoping to be able to appropriate, under the name of caste or under the name of religion, some booty from the crumbling mansion of statism. The special session of parliament called for an exercise in introspection is over. A terrible truth has been brought to the people that there is not even the remotest chance that a leadership capable of giving new direction for the country will come out of present house of parliament. This is a country that has made a disaster of its freedom within a space of fifty years! Five hundred and fifty members of parliament had the good fortune of discussing how this happened and what different road should be taken up in the future. During most of the time of the discussion, the majority of members were in the canteen. The number inside the house remained between 50 to 100. Those who spoke wanted to say something that would sound forceful and weighty. But they were at a loss to know what to say. If schoolchildren had been told to write an essay on fifty years of independence they would have given a better performance than the MPs. Worn-out statistics readily available in textbooks on the Indian economy were paraded with the air of originality and the gusto of a historical pronouncement. In what was supposed to be an exercise in self-criticism, we heard repetition of age-old ideas and populist programmes announced with both eyes on the forthcoming elections. Some gave a description of the utopian India of their dreams; some narrated sob stories of how, even though the country became free, their community had not gotten justice. Some gave wishing lists of what they should get in the future. The entire debate in the Lok Sabha was so poor, we could not have believed it happen had we not seen it on TV. In September 1997 the parliament forfeited its claim to leadership of the country. On the occasion of the the 50th anniversary celebrations of Indian independence, various balance sheets for the years of Independence have been drawn up from the Lok Sabha in Delhi down to amateur NGOs in by-lanes. The Lok Sabha held a special session to discuss what has been gained and what has been lost after independence. From village to village public institutions, organisations of merchants and industrialists, even study circles in schools and colleges have organised speeches, seminars and training camps to set out balance sheets of independence. What have been the mistakes made since independence? Those leaders who have held power during these fifty years were invited, as well as those in opposition. The Prime Minister and all those currently holding power have been in great demand. It is clear that the intention of the organisers was more to gain publicity for themselves and to strengthen their links with those in power, than to encourage self-criticism. All newspapers took out special issues and supplements on the 15 of August 1997. The opinion was unanimous that the post-independence performance has not been particularly admirable. However, each writer had his own diagnosis of where the dreams of independence went sour. The common position was not to rattle the skeletons in the cupboard. "Let it go; what has happened has happened" was the convenient posture. As to what should be done in the future, no common tune was discernible. Corruption has been practically the only common point in all the writings and speeches. The prescription has been simply to weed out the widespread corruption to make everything all right. Discussions everywhere, from the parliament to the village sammelans up to now have been largely inane and commonplace. This has been the general reaction. Briefly, everyone recognises that the balance sheet of independence has not been properly drawn. However, no one has an inkling as to where exactly they go astray in the exercise. Delhi today is very much like it was after the death of Aurangzeb. It matters little which Shehjada occupies the throne and which one is pulled down from it. Even if a Deve Gowda sits there, the bards will sing his praises with full gusto, as if he were the greatest of all rulers, have departed. It is clear in the fiftieth year of independence ceremonies that the first Indian republic that dawned on 15 August 1947 and was proclaimed in 1950 has come to an end. The ways of that republic will no longer assure even bare survival for the country, leave alone development. Now a second republic will have to be brought in. And for that a second freedom struggle will have to be waged. "A second Republic," "a second freedom fight" -- these were the words used by the Speaker of the House in the special session of parliament that began on 16 August. These words are familiar to Shetkari Sanghatana activists. In the last seventeen years the Shetkari Sanghatana has brought out both the illusory character of the independence of 1947 and the need for a new, true independence. Creating of a second Republic should not be interpreted to mean tinkering with the Constitution. The BJP government that came to power in 1998 has openly announced its intention to make a comprehensive review of the dispositions of the Constitution. 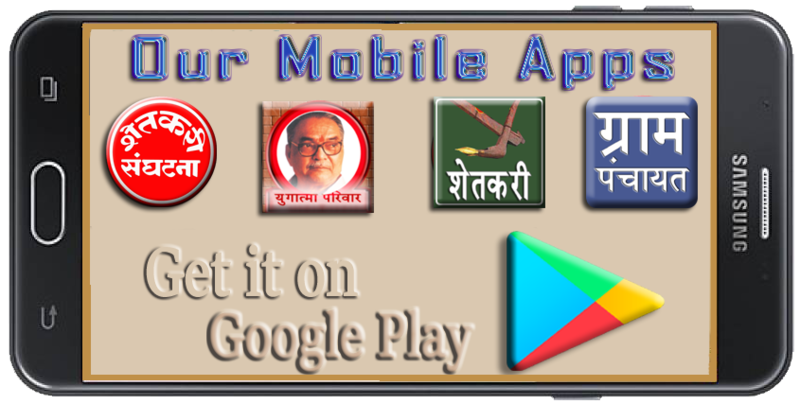 Several leaders of the Congress party have spoken in favour of a presidential system in preference to the parliamentary system. Many innocents believe that constitutional amendments would act like a magic wand and remedy any given existing flaw. They propose amendments permitting recall of elected representatives, adequate representation for backward classes, fuller representation for women, etc. The Constitution is, in a way, a giant source of power; in another way it is nothing but a bunch of paper. In a situation where Law and Order have collapsed and mischief-mongers publicly make obscene references to the National Anthem and to the national flag, little will be gained by merely amending the Constitution. Dispositions of the constitution do not appear to be all that important. In the last fifty years, the one institution that has brought the most misery to the nation has been the Planning Commission. It encompasses the jurisdiction of all the ministries and much more. But the planning commission is not even mentioned in all the pages of the Constitution. Given political will, the dispositions of the Constitution appear to have neither helped nor obstructed any action. Self-criticism is not an easy task. To turn inward and admit to one's own mistakes requires tremendous integrity and strength of will. The terrible situation of the country today has to be considered seriously and in totality. The country has been on a downslide in the fifty years of independence: how has this happened? Why did a country with the heritage of a man like Gandhi go into decline even while his disciples were in power? How did the martyrdom of those valiant young men who walked undaunted to scaffolds go to waste? How did the freedom fighters turn so easily treacherously corrupt? Fifty years have been completed since the British departed from this country. On this occasion, it behooves us to analyze the nature and content of the freedom movement itself and the character of the post-independence period regime and put forth some clear thoughts about why independence went wrong and why the first republic has crumbled. In the discussions on the gains and losses of independence some very strange and mutually contradictory points have been expressed. Some recommend greater democracy, others dictatorship; some prescribe greater devolution of power, others more centralisation. Some think that in the period after independence education has been ignored; others that a proper foundation of roads, transportation, water, energy, and economic services has not been laid; poverty has been overlooked; the backward sections have been neglected, etc. There are those who blame linguistic reorganisation of states and even adult franchise. They have also forcefully stated that in the future these flaws have to be remedied to set the nation on the right path. This is the equivalent of prescribing cold pills for a deadly disease. There may be some truth in all of these diagnoses and prescriptions, but the entire list does not explain sufficiently the seriousness of the patient's condition. It also leaves important questions unanswered. How could basic things such as education, infrastructure and social development be so grossly ignored? If they had not been ignored, would the terrible situation the country finds itself in today have been avoided? And finally, if these flaws can be remedied will the country go ahead on the path of progress? The answer to these questions is "No." The diagnoses of the disease and the remedies given by those who have attempted to draw the balance sheets of independence are scanty and hardly of any help to understand today's situation. There is another strange aspect of these exercises of supposed serious reflection. It is universally agreed that after independence some gross blunders were made, but those who were in power during the period of independence and who are responsible for the downfall are all venerated like demi-gods! There is not even a breath of criticism against them. The country has gone to rack and ruin in the fifty years of independence, but the Nehru dynasty which ruled for 38 of those fifty years is held in high respect for their competence and moral character. Even the future, many insist, lies in following the path shown by Pandit Nehru , Indira Gandhi and Rajiv Gandhi! The explanation that this is because of the Indian tradition of speaking no evil of the dead, is unconvincing. People say nasty things about Mahatma Gandhi himself. But one dare not say a word against the Nehru dynasty that actually presided over the downfall. It is clear that those who draw the balance sheets lack either integrity or the calibre necessary for such a serious exercise. Is the tragedy exclusively post-independence? Those attempting this analysis of the gains and the losses since independence fall into yet another error. They attribute all the degeneration that has occurred to the years following independence. The Indian freedom movement is supposed to have been carried out according to the great principles of Mahatma Gandhi in which a whole people struggled dedicatedly under his leadership, suffered hardships, accepted sacrifices and even gave up their lives, forcing the English to give independence. It was in the period following independence that the principles of the freedom movement were eclipsed and the country's decline began. In brief, the logic is that before the 15th of August 1947 everything was high and noble, and that the rot set in only after this. This could not be true. Whatever happened after independence must have had its seeds, however sparse, in the period of the freedom movement itself. Did the downfall begin only after independence? Pandit Nehru, after all, was Gandhiji's most beloved disciple and heir. He himself was prime minister for 17 years after independence. At least in that period, the country should have advanced. Why didn't this happen? All these questions will have to be faced with rigorous self-criticism and much more. It will also be necessary to examine the relation between the decline after independence and the happenings before independence. The reasons for the frustration of independence will also have to be sought in the time of the freedom movement. If it should turn out that the inspiration of the freedom movement was basically false, this bitter truth must be faced without hesitation if a genuine self-criticism is to take place. If the inspiration of the freedom movement was basically false and dishonest then it is understandable that we are reaping as we sowed. On the other hand, if we are convinced that the freedom movement was pure and true, then we will have to analyze exactly what went wrong after independence and search for the villains who schemed to frustrate the sacrifice of martyrs in the freedom struggle. We will have to analyze why they could carry their vile plans to successful conclusions. The kind of logic that says Gandhi was good, Nehru also was good and so were the Gokhales and Tilak who preceded them, but even then independence went wrong represents intellectual prostitution. An analysis of the post-independence collapse must observe three kinds of precautions. It will not do to give a ticky-tacky diagnosis of the disease of the country; we need the certainty of ending the country's adverse fortune through an effective remedy for a properly diagnosed disease. No individual should be spared, however high his prestige. Finally, there should be no negligence in the blunt dissection of the trends in the freedom movement.